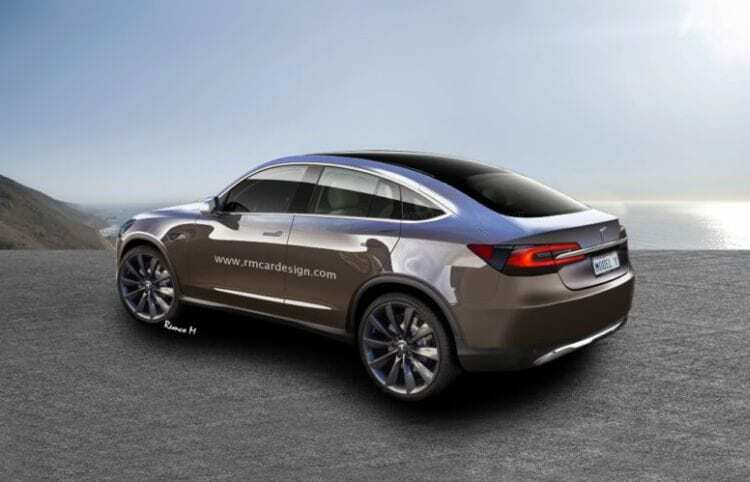 Tesla Model Y – Future is almost here! What do we know so far about Tesla Model Y? Rumors about the fourth Tesla model have been circulating ever since the Model 3 was officially announced a while ago. However, up until recently there wasn’t any real piece of information to hint at a new model. This changed dramatically when Elon Musk tweeted that the fourth model is in the works – the Tesla Model Y. Just recently we could hear more than a few reports suggesting that Model Y, companies compact SUV, could be introduced right after Model 3 that is quite close to production. This would be needed if the carmaker wants to hit its projected figures of 500,000 units in 2018 and incredible 1 million of delivered vehicles in 2020. Unfortunately, a few days ago we have received confirmation from CEO Elon Musk that we will have to wait a little bit longer for the crossover to be introduced. The exact quote is that Model Y is still “a few years” away. Currently, there are only a few details known about the next project of Tesla Motors, and we are eagerly waiting for the carmaker or its CEO to give us additional info. What we do know so far, and already reported about that, is the fact that this compact SUV or crossover (whatever you want to call it) will be based on Model 3 platform and will bring many similarities with its corporate brother. We saw huge demand for the smaller sedan, and according to Musk, the company expects to see even higher demand for Model Y as this segment is far more popular in the US. Anything between 500,000 to 1 million is a possibility and that would be a great push for this, still, young company. 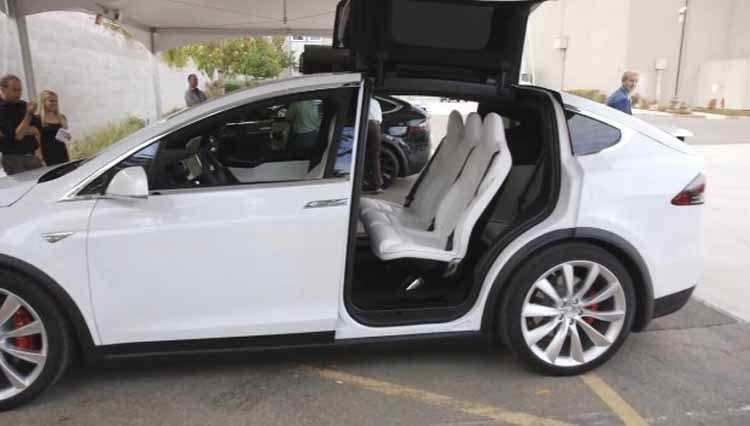 Another thing that we know is the fact that the Falcon Wing doors from Model X have been confirmed to come for this model also. Hopefully, this will not significantly increase the price, and if it does, we think that Tesla should offer them as an option. Even those look quite fantastic and interesting there were many owners that were not quite satisfied with what those doors offer facing many problems through their exploitation. In an analysis that was conducted, we could see that more than 50% of voters said that they wouldn’t want complex door system to be carried over to this vehicle also. The still unannounced Model Y SUV is to have its debut in 2018, and it certainly attracts a lot of attention together with its Model 3 brother. Both vehicles are already very popular among the potential customers and we can often see these mentioned in the various news. Similar to those on the bigger Model X SUV it is expected that the Model Y will have top-hinged falcon wing rear doors. Also, Autocar states that the Model Y will share the same platform with the Model 3. Last October, Tesla revealed that all their vehicles will have self-driving systems, including the still to be announced Model Y and the Model 3 that has been already unveiled. This feature comes with 8 cameras, and with such equipment, it is possible to have a 360-degree view at up to 250 meters of range. These cameras and other safety systems are the reasons why a car that has a self-driving capability is much safer than a car controlled by a human. Both hard and soft objects could be detected by 12 updated ultrasonic sensors, another addition that improves this system. Since the Model Y is larger and heavier than the Model 3, it is possible for it to have a bigger battery but to be honest we think that the figures will be quite similar. On the company’s website can be found that the starting price for the Model 3 is $35,000. Although considering the distinction in battery size and in some other things between the Model 3 and the Model Y, the latter should be a bit more expensive. All in all, the more affordable SUV should be cheaper than Tesla’s current list of cars, similar to the Model 3. The new vehicle shouldn’t be available on the market before the start of 2018, even though production was originally planned to begin this year and many people have made their reservations. The company is mainly focused on the Model 3 currently, so the production of the Model Y could be starting somewhere during the late next year. The Model Y will probably be underpinned by the same platform that the Model 3 uses, only it will be a compact SUV. We still do not know when the new vehicle will debut, but it might be soon if we revise some of the comments that Tesla CEO Elon Musk made. Until that happens, we have here an unofficial render which might help us create the image of the Model Y in our minds. Although Tesla has been shy about letting us know about any details regarding the new SUV, we do know that it will have ‘Falcon Wing’ doors just like the Model X. Musk revealed that information and many Tesla enthusiasts were not so happy about it. Electrek conveyed a research about the ‘Falcon Wing’ doors last year, and 5,480 people participated. Almost sixty percent opted for regular doors over the more complex entry system. Since the Model S resembles the Model X when it comes to design, features, and options, we expect that the new Model Y will be quite similar to the Model 3. 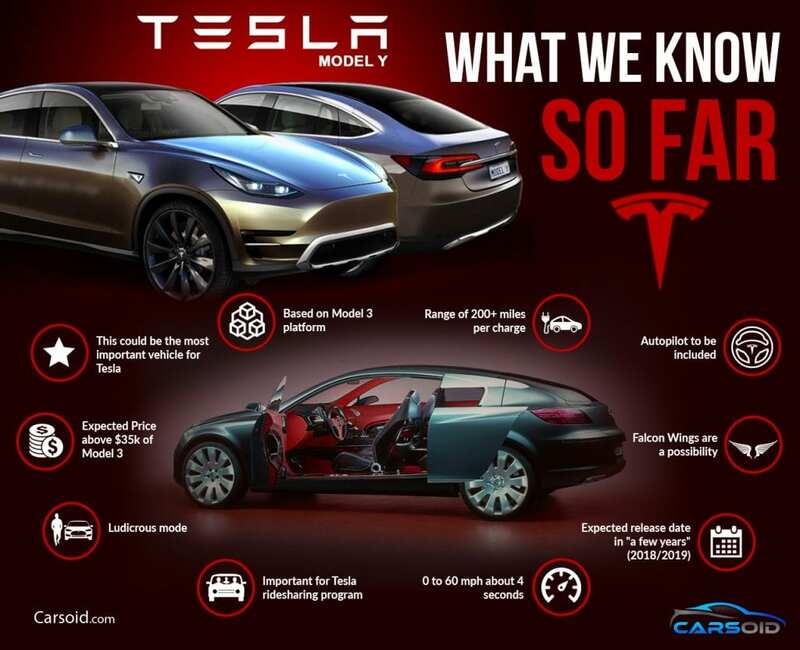 All of this is incorporated into the image made by Autocar, and this might be the best attempt to envision the vehicle done by someone other than Tesla. If you look closely, there is also the back of the center display which can be seen through the windshield. The company wants to increase production from 80,000 units to 500,000 in 2018. Even a bigger increase is planned for 2020- 1 million. Because of that, the Model Y presents an enormous part in achieving that goal and Musk stated that he expects to see a demand of 500,000 to 1 million Model Y’s per year. The company is probably developing the new SUV along with the Model 3 since they will be underpinned by the same platform and that might reduce the time needed for the vehicle to reach the debut. The Model Y should be revealed soon since Must claimed that the prototypes for Tesla electric pickup truck and semi truck are coming this year and that the Model Y will debut before that. The final unveiling and production of the Model 3 is believed to start around July, and the Model Y could be expected after that. Originally Tesla Model Y was planned for official introduction on Oct. 17, but Tesla Motors decided to slightly postpone this and move the release date to Oct. 20. To be honest, we didn’t get official confirmation that this is an even related to Model Y, but we think that this is a new product about which Elon Musk was talking about. 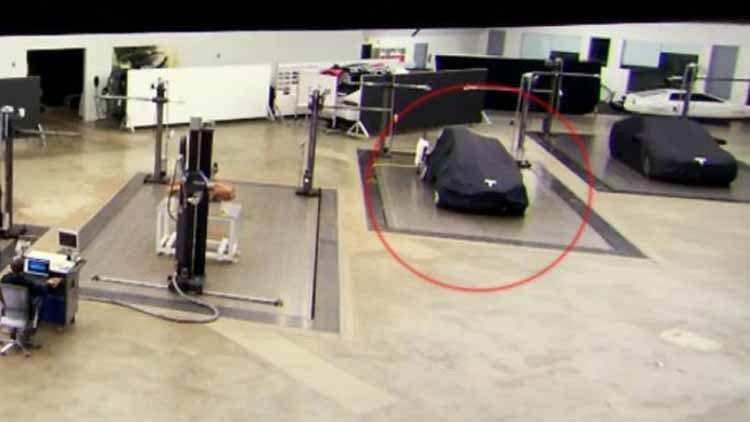 Even we could hear that the company will be unveiling one completely new product that has been described as “unexpected by most” we can only speculate on what exactly will be coming from Tesla’s factory. With few new things that could be offered, we already have few rumors on that. While many suggest that this could be related to the van that has been mentioned by high-level executives or the urban transport vehicle with the autonomous capability, we strongly believe that Model Y is coming. What we do know so far about Tesla Model Y is that it will be based on Model 3 chassis and that it will be a crossover. What Model X is to Model S the Model Y will be to Model 3 so is with the price. We expect to see something in line with $45,000 before incentives and various tax reductions by the state. With the level of luxury, we are used to getting from Tesla it is quite possible this to be one of the best options on the market at fair price. Tesla is not the only car maker that is preparing electric crossover or a similar vehicle. Soon, Audi will launch E-Tron Quattro while Mercedes ELC is in development. Jaguar is another company that might introduce an option for this segment, but it is a good question if any of these can compete with Tesla. No matter which car maker you choose from this short list you will be able to say that they are far bigger than Tesla with longer tradition and other things on their side. But what they do not have is the expertise in electric powertrains that Tesla offers. They are the biggest EV manufacturer and their vehicles already proved themselves making them a leader in this fast rising segment. What do you think, is the Tesla Model Y product that will be unveiled on October 20th? What else wold you like to see? Ford Confirm new 2017 Ford Bronco! Read about it! The car market has shifted significantly, and changes indicate that more buyers are looking for trucks and SUVs than sedans. Another thing is that crossovers and SUVs are bringing more profit than sedans that are facing faster value deteriorating than other vehicles mentioned above. These are the reasons why Tesla Model Y, future crossover/SUV, is more important than the Model 3. Many will ask how is that possible since Model 3 has been pre-ordered in insane numbers and represent first affordable fully electric sedan from the company and great alternative for those drivers that need this type of vehicle but do not want to stay on fossil dependent cars. This trend has also been noticed by Tesla Motors CEO, Elon Musk and we are sure that they will give their best to speed up the development of the new model in the lineup. What we know so far is that Model 3 will emerge during 2018, but earliest predictions suggest that Model Y might come in 2020 while less optimistic and more realistic prognosis indicate 2022 launch. It is clear that EV’s are future, and we could see huge investments in the development of these vehicles by many large car makers. Mercedes could bring electric SUV during this year Paris Motor Show, and it could go into production during 2019. Volvo is in a similar situation and in 2019 we might see crossover/SUV that would compete against Model Y when it comes to features. Volkswagen stated that five new EV’s will be introduced in the next four years and when all these facts are puzzled together we know that Tesla needs to hurry up with the development of their competitor. With insanely loyal fan base Tesla has a good chance of succeeding even they come slightly late to the party as we know that many buyers will gladly wait for its new product. What they need to be sure is that new vehicle will be a next big thing after Model 3 is introduced. Tesla Motors and its CEO Elon Musk recently announced new Tesla product, and even we are used to see great reactions from the large fan base, this time, it was less than ecstatic. This is simply because it impacts those most expensive models so only those with very deep pockets can afford this. What is it about? Well, Tesla introduced 100 kWh battery pack that will go on sale in Europe. With this one, it will be capable of offering P100D Ludicrous model that will accelerate from 0 to 60 mph in mind blowing 2.5 sec. Even it is highly unlikely that this will come to Model Y and Model 3 that are referred as smaller and cheaper Model X and Model S we can still hope that 100 kWh battery pack will be offered for these models in future. Looking at the current lineup it will hardly happen in near future because it would mean that both Model Y and Model 3 would be able to return more miles on a single charge than larger, more luxurious and heavier Model X and Model S.
Why is this important for Model Y? It is simple. If we get Model X with 100 kWh battery pack, it could mean that larger battery pack will be offered with the Model Y when it arrives to the market. In the announcement of the new product, Musk stated that the cells are same, but improvements are achieved with changes to internal support structures and cooling. As a result, we have higher performances, and this represents a notable engineering achievement. Finally, we are getting confirmation’s that the Tesla Model Y will use the same platform as the Model 3. The introduction of compact SUV at the lower price point is a great move since it will allow more people to get into EV market. Currently, priority is on the Model 3 that has been pre-ordered in insane numbers placing Tesla Motors into great position when it comes to the development of future models. We know how popular is the compact SUV segment and with the introduction of Tesla Model Y we would be getting a real competitor to gasoline powered and few hybrid models on the market. Estimated demand for a new vehicle in Tesla’s lineup is to be between 500k and 1 million units per year. These are quite optimistic predictions, but there are no reasons not to see this happen if the company offers interestingly priced and features filled vehicle. At this moment we still do not have an official date of introduction for Model Y, but we could hear from Tesla Motors CEO Elon Musk that it will succeed Model 3. Conquering new segments is part of the Master Plan that has been presented by the company and gives insight into the future where we will have self-driving vehicles that are shared by many drivers and are summoned through an app. 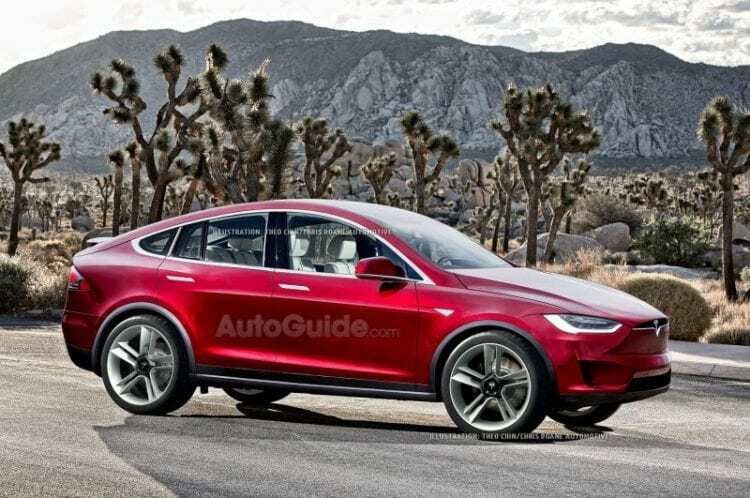 With the quick and rising popularity that the Tesla Model Y received it is expected for it to be part of many new rumors that we are receiving. Latest provided images of the concept version, and we can immediately see clear influence of both Models 3 and Model Y, which was expected. Images, in this case, two, come from the RM Car Design and even they are only concept renderings we hope that Tesla will offer something similar. Big wheels in combination with a front end that is inspired, but Model 3 are the direction in which this concept goes. Sloping roofline gives it almost a coupe-like an appearance and this might be slightly different for the production version. Also, in this version, there is no Falcon like we did get on the Model X, which again fits in nicely into a story that Tesla Motors offered about this being smaller and more affordable vehicle. We have received few details about the possible fourth model in Tesla lineup, but it is still unclear if this one will be called Model Y or Model 4. If Tesla Motors decides to go for Y name than their model names will spell S, 3, X, Y, quite a bold move that will allow the company to attract younger buyers. Don’t think that this is a coincidence since they do want younger customers because they are more eager to adopt new technology and what EV’s offer. Rumors about the Tesla Model Y were started by Elon Musk, similar like it was with previous rumors. Recently we could hear the statement that the fourth generation of smaller cars will lower the price of EV’s so that everyone can buy these. This was a part of the talk where Musk hinted that next vehicle that will be added to the lineup could start even with lower base price than it is the case with $35,000 Model 3. This is possible with the sheer number of produced cars, more cars, and more batteries that they make they will be able to lower the price of development and production. One of the things that still isn’t clear is the position of Model Y. It is possible for Tesla Motors to offer hatchback and that perfectly fits their lineup roster. This would also nicely fit into the story about “smaller cars” but this also can imply that future vehicle will be a small crossover. Stay tuned for further updates. Unfortunately, the tweet has been quickly deleted, but the impression remained, and the car has been heavily discussed ever since. While there aren’t any real details about the car or its future target audience, it is pretty safe to assume that Tesla will be building the second crossover to appeal to the massive compact and medium-size crossover market. The new car will be based on the same platform as the Model 3, and it might even be priced similarly, but it will be offered with a larger cabin and a standard all-wheel drive system. The upcoming Model Y would also help Elon to finish its plan to name its entire lineup of cars as “S3XY” from the Model S, 3, X and the future Y. While this is certainly a bold approach, it would allow Tesla to appeal to the younger generation which is also the part of the population more likely to buy a fully electric car. In order to make it a competitive purchase, the Model Y is likely going to be priced around $40,000 which would be a massive deal if it will be as great as the X or the upcoming 3. Unlike the larger X or S though, the Y is going to use a very similar interior to the much cheaper Model 3. However, in order to make use of the extra space, the car is rumored to offer a different seating arrangement with more room between the two rows of seats. Thanks to the lack of an engine and a transmission tunnel, there is going to be much more space than even in the larger compact crossovers. There is also a possibility to see this electric vehicle offered with two jump seats like the Model S. The materials are going to be just as good as those of its competitors meaning this model will have enough luxury accents to compete successfully with best in the segment. In order to simply annihilate the competition, the future Tesla Model Y will be offered as standard with all-wheel drive and two electric motors. Less powerful 120 to 200 horsepower electric motor in the front and a 200 to 250 horsepower electric motor in the back, both powered by a larger than 60 kWh battery-pack, enough for more than 200 miles and a 0 to 60 MPH time of around 5-6 seconds, basically faster than even some hot-hatchbacks out there. Among other rumors we could hear we assume that Model Y will be a downsized and cheaper version of Model X. Tesla Motors had a similar approach with Model 3 that is offered as a smaller sedan than their flagship Model S. With reduction in production prices, EV’s will go down and we expect for the Model Y to be low-cost vehicle and that is how Tesla Motors advertised it. Price will be on a similar level like the Model 3, maybe just a few thousand dollars higher since we are talking about crossover vehicle and we know that these tend to be slightly pricier than the similarly equipped sedans and hatchbacks. What about the release date of Model Y? One of the most speculated topics related to Tesla Model Y is the release date. While it might be very hard to guess when this small electric crossover will be introduced, we can offer our best guess. At this point, there are no official details about closer to production Model 3, but we could predict that Model Y will be offered shortly after the introduction of Model 3. Still in rumors, we can only hope that Tesla Motors will bring the new vehicle in the next couple years. The official debut could happen during 2018 or 2019 and a similar situation with recently announced Model 3 is expected. Huge interest from the general public and the launch year or two after production ready version comes. If this happens and we take few other factors like Gigafactory production capacities we come to the conclusion that 2019 or 2020 launch is quite possible and even most likely. While we would like to see more vehicles from this U.S. based car maker we will have to wait a little bit longer. 5th Tesla vehicle, not 4th. Not likely. SUV/CUV versions of cars are usually more expensive, not less. Tesla has actually taken greater than its reasonable share of headings over the previous couple of years. The Californian firm has actually been advertised by the technology as well as car presses for its technology, stimulating rather a conventional market as well as presenting electrical autos with an unique buzz concerning them. Several of this has actually been driven by the enjoyment of the much spoken about “Ludicrous” method on some Tesla autos, some with the firm’s drive to relocate far from nonrenewable fuel sources. There’s been a great assisting of wise media handling by CEO Elon Musk, in addition to recommendations from several thrilled clients, in addition to the type of follower excitement typically set aside for brand names like Apple. Exactly what’s does Tesla truly supply, exactly what’s coming in the future and also exactly how can you sign up with in the enjoyable? Right here’s every little thing you should learn about Tesla Motors, from the Roadster with to the brand-new Model 3. It’s possibly following on his listing after the Model 3 car and also crossover. “I believe it is rather most likely we will certainly do a vehicle in the future,” Musk stated this week in Hong Kong. Tesla declares that the Model Y will certainly be able to demand up at any kind of Supercharger terminal. When asked just how the automobiles will certainly be able to take off and also continent at congested Supercharger terminals, Musk was fast to aim to the multiple-use rocket modern technology his business SpaceX established for its Falcon 9 rocket. “It’s generally the very same crap,” Musk stated. I’m wondering what the time frame of introducing the Model Y would be. I’m assuming they are keeping it very under the radar so as to not confuse potential Model 3 owners who might then want to wait for the Y before making a purchase. My bet is that only after the first wave of Model 3’s are delivered will we see the introduction of the Y. Otherwise they could see a bunch of 3 cancellations. I’ve heard that Model Y would be the most compact and the most affordable of all Tesla’s models. I know this is very unimportant, but I couldn’t help to think that its front exterior looks like Iron Man’s face. It is a white Iron Man’s face in a form of a car to me. This is a very exciting news. I hope they’ll release it soon and a cheaper price than the prediction would be great. The Tesla Model Y is the most sporty version of an electric car that I’ve ever seen! I don’t usually buy new cars, but this model would make me think twice and I’d be eco-friendly, too! I do like that they are considering making a more affordable version for everyone. However, with a range of around 200 miles, if you commute to work, that could cause problems as I do not know how many recharge stations would be available for a charge. But, if they do decide to make a fourth model, they will definitely be good competition for the big three motor companies that are making electric cars. Should be interesting! This one, for me, is the fanciest electric sports car among the previous Tesla models. A bit better mileage to be expected in an electric car. In my regional sales job, I’m definitely going to have to see a lot more recharging stations on the highway before I can even consider any model. It’s unfortunate that it’s being marketed to younger consumers instead of meeting the needs of consumers nationwide. The Tesla Design 3 isn’t really anticipated to even begin production up until late 2017, however Elon Musk has actually currently begun the report mill on exactly what’s next for the 4th generation Tesla. There had not been a huge media-stopping interview about the Model 4. It’s not even clear exactly what the Model 4 will in fact be called– although there’s a contingency who think a Model Y remains in order making the Tesla lineup spell S 3 X Y. Regardless, Musk dropped some tips in mid-April at the Future Transport Solutions conference in Oslo, Norway about exactly what’s to come. Off, the next Tesla will begin at an even lower base rate than the Model 3’s $35,000 cost point. In other words, Tesla will depend on amount to provide its quality. The 2nd tip that Musk dropped about the next Tesla remains in the middle of that statement: smaller sized vehicles. Electric automobile competitors like Nissan’s Leaf have actually currently accepted the hatchback, ladybug shape. The Smart Car has actually taken electrical automobile size to an exceptionally little level with their two-door cars that are more detailed to golf carts than conventional automobiles. It’s tough to think of Musk opting for something as beetle-shaped and distinctly unstylish, however it’s the next rational action towards mainstream mini. I’ve heard that Tesla is not planning on slowing down with the development so I’m sure that we are going to have a lot more models from this manufacturer and I am extremely happy about that! We just have to bear with all these rumors just for a little while before we could actually see the new model Y and a lot more models to come. I think that one day everybody on the planet will be able to afford and will drive a Tesla, so I am eager for that kind of future to come. 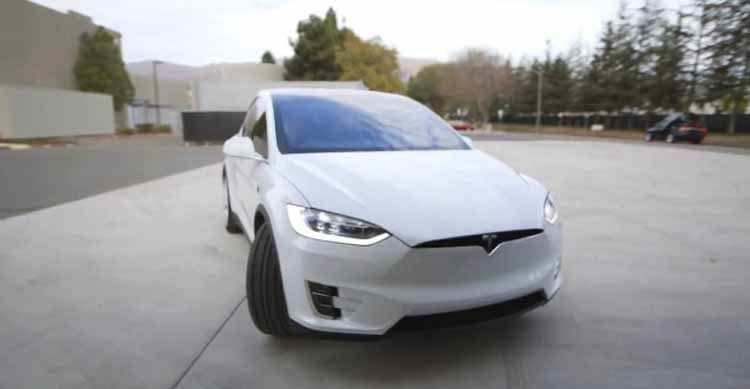 The Tesla Model Y is in the pipe and will likely be improved the very same framework as the upcoming Design 3. The Model Y is anticipated to be an entry-level crossover from Tesla, though not much is learnt about the version. I have always been fascinated with the cars from Tesla. I am even more interested to actually drive one. It would be even better if they can produce cars of this caliber at an affordable price. This car looks super cool. I’ve been a big fan of Tesla and the electric car movement since before it had actually even started. The idea of moving into the future with cars like these gives me so much hope for the environment. I especially like the backseat doors… reminds me so much of the old Delorians. What Price can be? 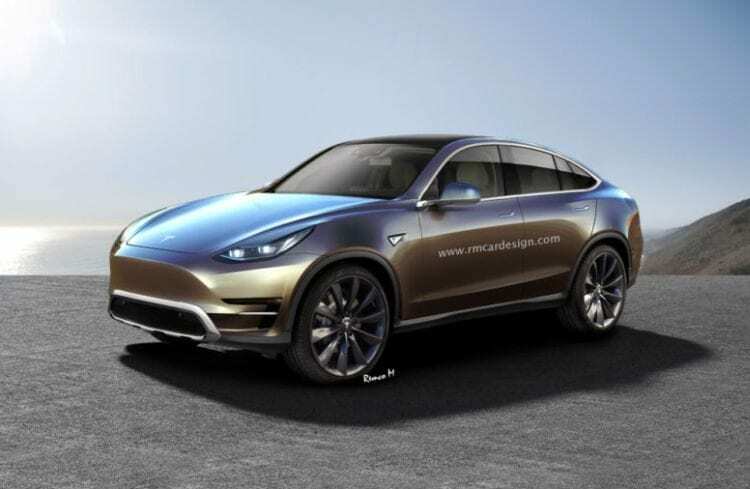 Tesla Model Y – Lower-Cost Electric SUV? I translated the tweets as indicating the Model Y would be the name of the next-gen roadster, which would be very cool with falcon wing doors. Offered the Model 3 is everything about aiming to get the expense down, I would be amazed if the went the falcon wing door path on a Model 3 CUV. There’s been so much buzz about the Model Y and it’s killing me. I have a good feeling that it will debut later this year. The 4 ducted-fan, all electrical, 2 traveler “air-stir” (a version not yet exposed, possibly also denied, by a well recognized giga-company) is meant to be operated under 400 feet to stay clear of FAA jurisdiction, and also just over existing freeways as well as significant separated roads with no crossways. It is believed that it will certainly be directed by freshly gathered crowd-sourced high resolution lane maps, inertial support, and also GPS, including hands-off floating as well as progressed accident evasion aid as common. Nonetheless, in the beta versions, the person in control is warned to maintain both feet on the pedals, and to not try to run the model vehicle-exit mechanism while at altitude. Security features consist of a really interesting auto-balance method for the fan opposite any kind of one fell short follower, helping with emergency situation landings. The Signature variations are anticipated to be priced noticably above later on designs, as well as it is reported that there will just be one Founder unit. Like you, we could rarely wait, and we currently have our non-refundable down payments prepared, as soon as the on the internet appointment website is useful. Preliminary Fly-To navigation will certainly be to just one within-range destination (presuming excellent climate as well as no headwinds), or to among the several planned proprietary Splendid-Charging places. Considering that it is rumored that the first versions will certainly have a 315.6 mile range, AMA rated, however just stay aloft for 30 mins, these probably incomplete specs would certainly show up to show a full throttle of at the very least 700 mph. 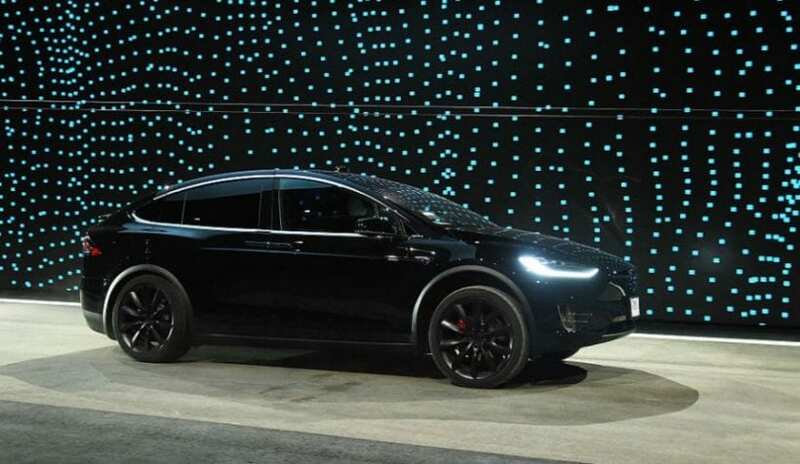 The Tesla motor business is determined to deliver their specializing of electrical cars in the class of crossover SUV, debuted by the Model X that well-known much value due to its powertrain utility, performance and security bundles and price. Following it, the American automaker guarantees that they will soon present a new addition– the 2017 Tesla Model Y. The out spring of this news brought many auto specialists to sign up with head in a foreword for Tesla dare to keep up in the likes of crossover SUVs with its all-electric models. It is reported that soon-to-be-released the 2017 Model Y will be based on the principle of Model 3 sedan, especially at the front end. As about Model 3 sedan, the Tesla has absolutely nothing yet released official, however it is anticipated that the crossover SUV will just be based upon design of Model 3. 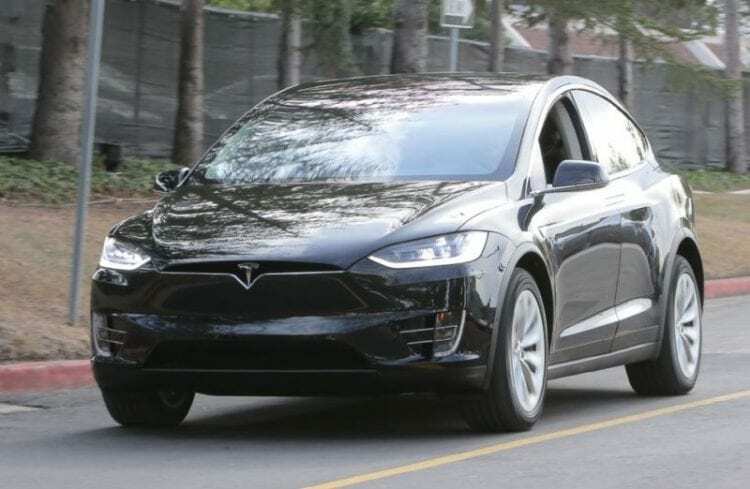 While the production of Tesla Model Y has actually occurred, it is much included on the future possibility of the auto maker and how they come to gain sales and attain maturity in the crossover SUV class. With one model currently out in markets, the Tesla Y will include the exact same powertrain. With a variety of more than 200 miles and a power output of 400hp, the 2017 Tesla Model Y basic battery will make it one of the most powerful crossover SUV. Tesla will release its brand-new design in March and it supplies a look in exactly what is ahead to come. In coming March, American $25 billion vehicle business is set to make public the-highly prepared for electrical automobile called “Model 3”. Tesla has actually not exposed much about its groundbreaking task although it has actually asserted that the brand-new car will take the sales from 50,000 to 500,000 in 2020. According to Bloomberg, sources near the “launch strategy” of Tesla stated that contrary to reported launch of business Model Y introduction, the vehicle producer would expose just one Model – Model 3 sedan in March. Business’s CEO Elon Musk revealed faith in the brand-new design and stated that the brand-new automobile will be the best car readily available at extremely economical rates. The design costs $35,000 and its production will begin in 2017. The pre-orders start right after the launch. 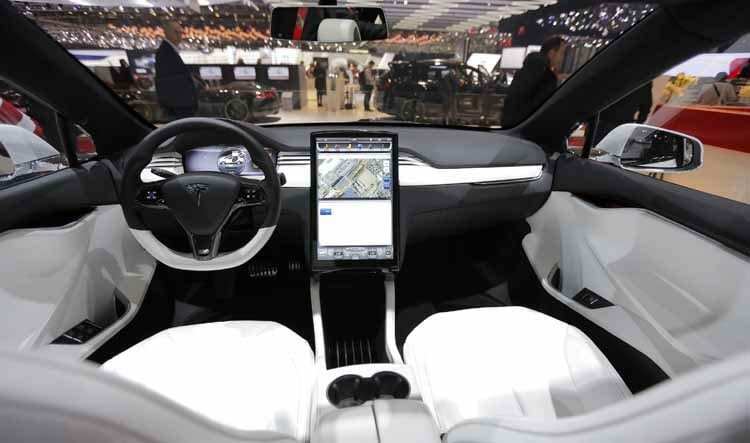 The anticipated variety of the vehicle is 200 miles per charge and it would be about 20% smaller sized than Model S. The brand-new design likewise has sensing units for self-governing driving. Aside from the Roadster, Tesla’s EVs will define S, ≡, X, Y. Musk desired the 3rd automobile to be the Model E however it needed to back out or deal with a claim from Ford. Rather, he opted for a Model 3, which is apt considering that it will be the 3rd, however with an elegant “≡”. Technically, however, it should most likely spell S, X, ≡, Y, however, that would not be as amusing? Beyond the hype, Tesla is already circling the drain. It will be an epic collapse, and will bring down the stock market with it. It has been forecasted a long time ago.